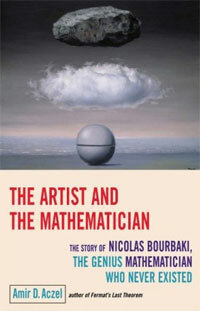 Over the week-end I read The artist and the mathematician (subtitle : The story of Nicolas Bourbaki, the genius mathematician who never existed) by Amir D. Aczel. Whereas the central character of the book should be Bourbaki, it focusses more on two of Bourbaki’s most colorful members, André Weil and Alexander Grothendieck, and the many stories and myths surrounding them. The opening chapter (‘The Disappearance’) describes the Grothendieck’s early years (based on the excellent paper by Allyn Jackson Comme Appelé du Néant ) and his disappearance in the Pyrenees in the final years of last century. The next chapter (‘An Arrest in Finland’) recount the pre-WW2 years of Weil and the myth of his arrest in Finland and his near escape from execution (based on Weil’s memoires The Apprenticeship of a Mathematician). Chapter seven (‘The Café’) describes the first 10 proto-Bourbaki meetings following closely the study ‘A Parisian Café and Ten Proto-Bourbaki Meetings (1934-1935)‘ by Liliane Beaulieu. Etc. etc. One thing I like about this book is the connection it makes with other disciplines, showing the influence of Bourbaki’s insistence on ‘structuralism’ in fields as different as philosophy, linguistics, anthropology and literary criticism. 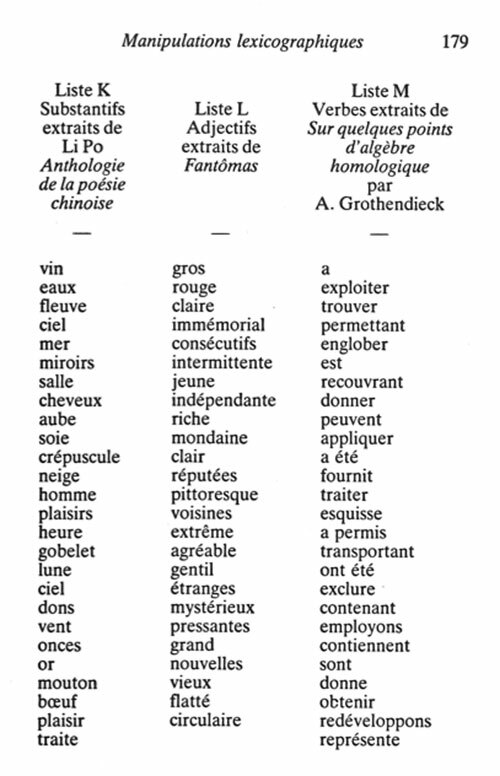 One example being Weil’s group-theoretic solution to the marriage-rules problem in tribes of Australian aborigines studied by Claude Lévi-Strauss, another the literary group Oulipo copying Bourbaki’s work-method. “From other information in his autobiography, one gets the distinct impression that Weil was infatuated with the childish pranks of ‘inventing’ a person who never existed, creating for him false papers and a false identity, complete with a daughter, Betti, who even gets married, parents and relatives, and membership in a nonexistent Academy of Sciences of the nonexistent nation of Polvedia (sic).